As you would be aware the New South Wales Rugby League (NSWRL) initiated Legal proceedings in 2013/2014 against the NSW Leagues’ Club which sought as its main objective the winding up of the Club. On Friday the 14th of November Justice Brereton of the Supreme Court Equity Division handed down his decision. Dismissed the orders brought by the NSWRL seeking to wind up the NSW Leagues’ Club. He clarified the “B” Class Membership criteria of the club following the changes brought about by the 2013 NSWRL Constitution. 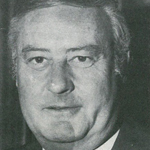 He determined that “B” class Members are those individuals who are entitled to participate in the general meeting of the NSWRL. Those being the nominated representatives of the leagues (Member Clubs, NSW Country Rugby League, NSWRL Referees Association and Junior League Association representatives) and plus the NSWRL Life Members. 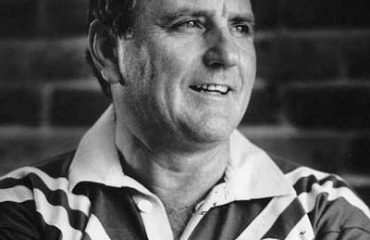 His Honour also found that the Board of Directors and the management of the NSW Leagues’ Club were not negligent in the management of the club and also his Honour found that in the meetings the Club conducted it did not discriminate against any “B” Class Member of the Club. The NSW Leagues’ Club Board is cognisant that a number of “B “Class Members joined the case as plaintiffs and that they did so based on the selective information presented to them by those representatives of the NSWRL. Now, with this court decision behind us, the Club Board and management feels that it is critical that all the Members both ’B Class’ and ‘C Class’, are kept fully appraised and kept correctly informed of the Club’s plans for the future. 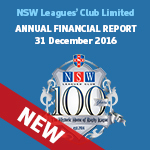 The NSW Leagues’ Club is now as it has always been committed to participating in the continued growth not only of the game of Rugby League but to continue to provide excellent facilities for our members and guests and believes that it is putting into place plans that will enable the Club to increase its ability to achieve both of these outcomes. The sale of the building to raise enough capital to pay off the debt and to be able to take steps to make the club trade profitably, (This was taken after consultative meetings with, and open to, all members of the Club). To adopt an initiative which will see the Club enhance its support of Junior League throughout the State of NSW. Due to the legal proceedings undertaken by the NSWRL these plans regrettably had to be put on hold. 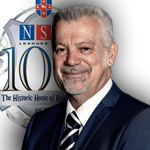 With this action now resolved the NSW Leagues’ Club Board is now in a position to move forward and complete the development of a future business plan for a viable Club, maintaining its rich history, continuing its strong community commitments and continuing to support Rugby League in the State of NSW. The Club Board is now working hard on a Strategic Business plan which will detail the future course for the Club with the aim of returning it to a profitable sustainable position. The plan will also detail how it will engage the NSWRL in developing strategies for the support of Rugby League at the grass roots level of the game and continue its enormous contribution to the community at a variety of levels. Once this plan is complete a meeting of all members will be convened to inform them of the strategic plan and allow all members to understand and in turn support plans for the next part of the Club’s existence and operation. The Club has just completed a century of service to the Community and to Rugby League and with your support is working diligently to ensure that it remains a strong contributor to both in the years ahead.